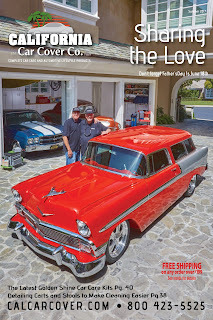 Sharing The Love: Our annual Father's Day is always about sharing the love of cars and this year is no different. 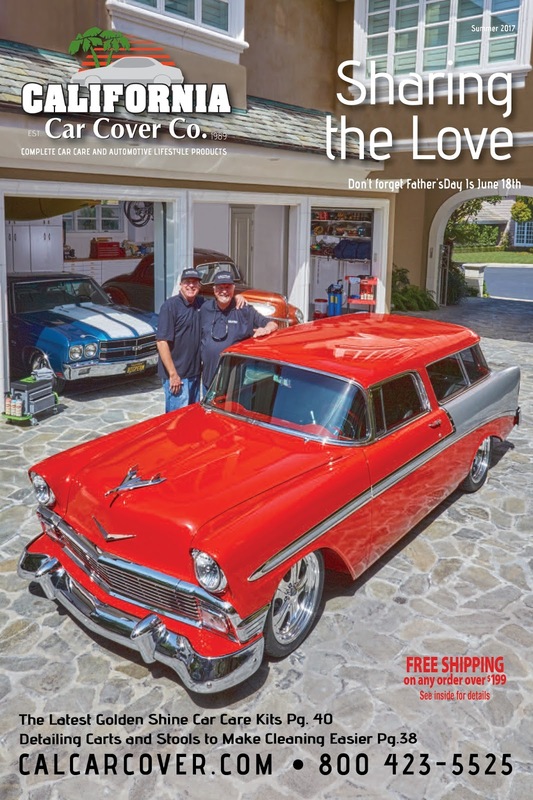 Our marketing team was flipping through a recent Mecum Auctions Magazine and read a great story about a father and son purchasing cars at an auction. 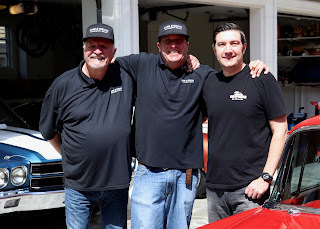 We soon found out that Gary and Brian Almas were customers of our company and knew we had the right guys for our Father's Day California Car Cover photo shoot. The father, Gary, has a few classic cars in his garage. The 1939 Ford features Billet Specialties wheels, Fatman Fabrications suspension, and two-tone Dupont Hot Hues paint. Under the hood of the '39 is a GM 454/425 hp crate engine. An Erickson T-5 transmission runs through the gears. The son, Brian, has a clean 1970 Chevrolet Chevelle SS that he takes out to weekly cruise nights and weekend car shows. The Chevelle looks all original, but has plenty of performance upgrades. The Chevelle has a Tremec 5-speed transmission and Hotchis suspension with plenty of power under the hood. Under the hood is a Edelbrock Pat Musi 555 engine. 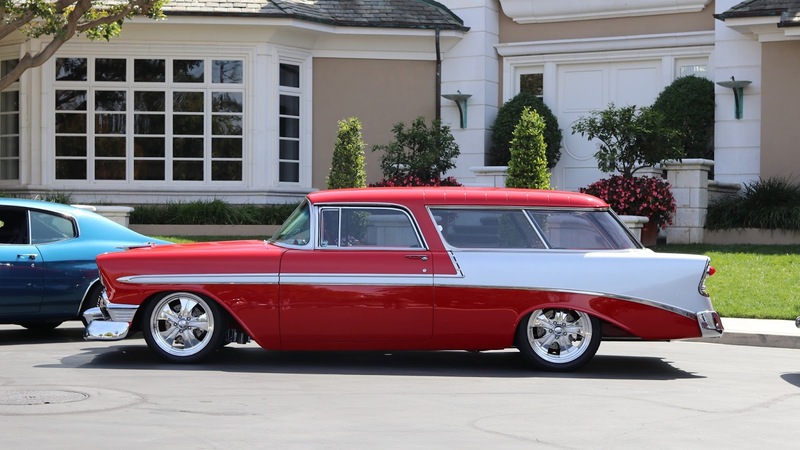 The "Lomad" is Gary's 1956 Chevrolet Nomad. This custom Nomad is finished in red and silver paint. It has full leather interior and a Kicker Audio stereo system. The Chevy was built on an Art Morrison chassis. The Lomad features a Chevrolet Corvette S driveline and 4L60E transmission. Here is the final product. Thank you to Gary and Brian for taking the time to participate in the California Car Cover Father's Day photo shoot. We enjoyed our time in Orange County with the guys. Do you think you and your child(ren) would be a cool feature for our Father's Day catalog? We love hearing from our customers. Send us a message through the California Car Cover website or Facebook page.